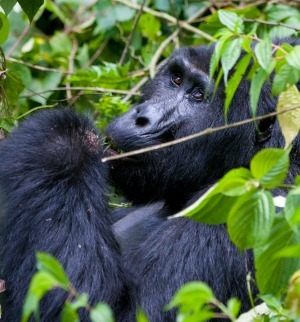 See gorillas in the wild on this 15-day Uganda tour. Raw Wildlife Encounters in partnership with The Jane Goodall Institute Australia and Raw Africa Eco-Tours gives travellers the chance to experience close encounters with gorillas and chimps in the wild. Participants spend 15 days witnessing the The Jane Goodall Institute projects in Uganda including visits to JGI Uganda/Ngamba Chimpanzee Island, the Murchinson Falls National Park where they may see rhinos, Budongo Forest, and Bwindi to see gorillas. For every traveller, a donation is made to the Jane Goodall Institute. The cost of the tour is $5690 a person. Tour departures May 23 – August 23.